A GRIP ON SPORTS • It’s game week for the local college football teams. It couldn’t have come at a better time. Heck, it is even raining in Spokane this morning, helping us think about autumn, the vagaries of its weather and football. Read on. • It’s too bad we couldn’t be a bit distracted from this weekend’s openers by a prominent Mariner push to the playoffs, but that opportunity seems to be fading. The M’s lost yesterday while, wouldn’t you know it, Oakland won, pushing Seattle a jaw-dropping five games behind the A’s in the wild-card race. Heck, Tampa Bay, coming up fast on the outside, is closer to the M’s – four games behind – than Seattle is to Oakland. Washington State travels to Wyoming for its opener, a tough one by any measure, including the altimeter. 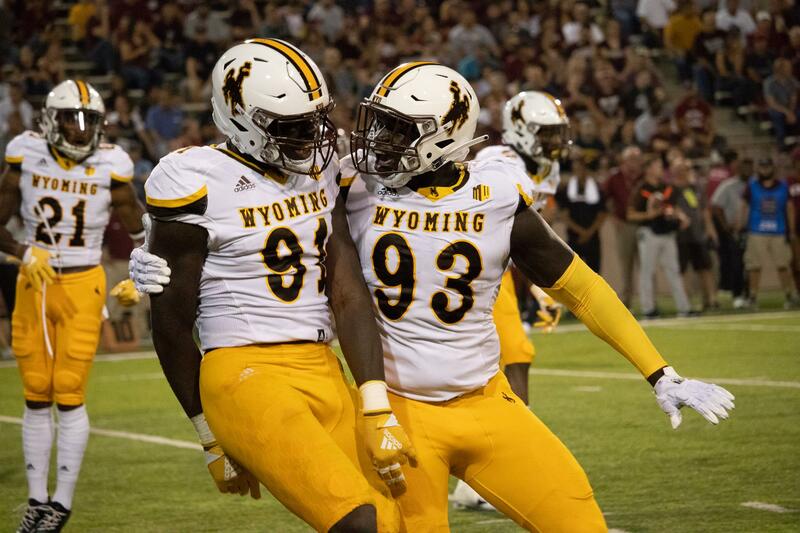 But Laramie’s 7,220 feet may not be as important to the WSU chances as the Cowboys’ defensive line, which Mike Leach praised after Sunday’s practice. Eastern hosts Central Washington, which is supposed to be a tune-up game, what with the Wildcats a Division II school and all. But remember, CWU’s quarterback, Reilly Hennessey, is a former Eagle and has a bit of motivation to do well. Idaho faces the toughest opener, traveling to Fresno State to face a Bulldog team coming off a 10-win season. Whether this game was scheduled when UI was in the Sun Belt Conference and playing as an FBS school or after the Vandals decided to drop down a level, it was always going to be tough. Playing at 7 p.m. in front of the Red Wave, which will have had all day to prepare, won’t make it any easier. There is one other local opener Saturday, this one out at the Pine Bowl. Whitworth begins its 2018 season by hosting La Verne. The Pirates play three times in September, all at home. It’s a great way to start the season. And the college football season's start is great way to get our minds off the Mariners’ woes. 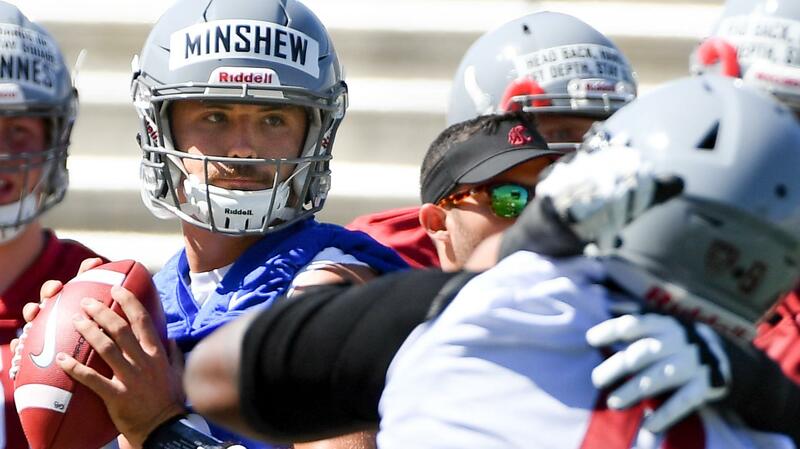 WSU: The Cougars are in game-week mode, which means they practiced last night. 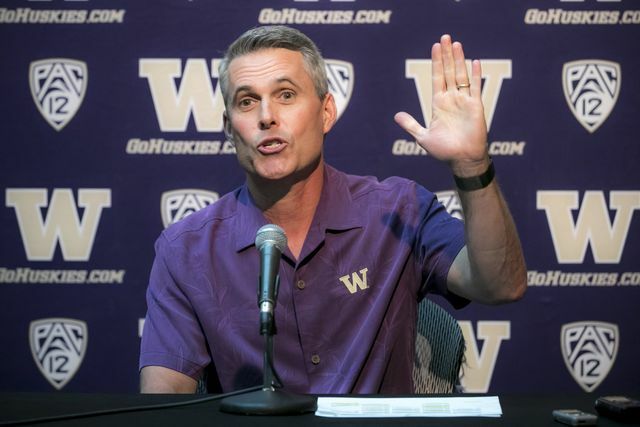 Afterward, Theo Lawson talked with coach Mike Leach and assistant Steve Spurrier Jr. … Elsewhere in the Pac-12, the biggest game this weekend is in Atlanta, where Chris Petersen and No. 6 Washington will face ninth-ranked Auburn. … While in Bend, Oregon State’s offense took chemistry lessons. … Oregon has a new leader on the corner. … Colorado will open its season against a Colorado State team coming off a tough home loss. … Utah will open with Weber State. … USC picked its quarterback. It is true freshman JT Daniels. He will face a tough schedule. … A grad transfer lineman moves the earth for UCLA, who opens this weekend against Cincinnati. … Arizona is expected to do well this season. That means there are, gasp, expectations. Gonzaga: The women’s soccer team played to a draw with Oklahoma. EWU: A quiet Sunday was broken by the news offensive lineman Matt Meyer had a recent run-in with the authorities and was cited for DUI. Ryan Collingwood has more. Indians: The Indians stayed on Vancouver’s tail with a 6-3 win over Salem-Keizer at Avista Stadium last night. Steve Christilaw has the game story. … Elsewhere in the Northwest League, Eugene defeated visiting Tri-City and Everett snapped Hillsboro’s long winning streak. Chiefs: Training camp is over. Now its time for preseason play. Spokane finished the camp with its annual Red-White Game. Kevin Dudley was in the Arena and has this story. Dan Pelle was there as well and has this photo report. Swimming: Spokane’s Daniel Roy won three gold medals and a silver in the Junior Pan Pacific Swimming Championships which finished Sunday. Mariners: Mike Leake was healthy but so was the Diamondbacks’ offense in the third inning. They scored five times and went on to a 5-2 win in the series finale. … Juan Nicasio’s season is over. He’ll have knee surgery. … Ryan Divish has some fun answering questions from readers. Seahawks: K.J. Wright will have a medical procedure on his knee. What that is, exactly, isn’t clear. … David Moore is emerging from seemingly nowhere. … He will make the roster. … There’s a new kid in town and boy does he have a leg. Sounders: When you are hot – see Mariners in June – everything seems to go your way – ditto. Such is the case with the Sounders right now. Portland seemed to dominate the match yesterday at home, but a cross that went off a Timbers player and in was all that Seattle needed in a 1-0 victory. The win moved the Sounders above the Timbers in the standings. Published: Aug. 27, 2018, 7:32 a.m.